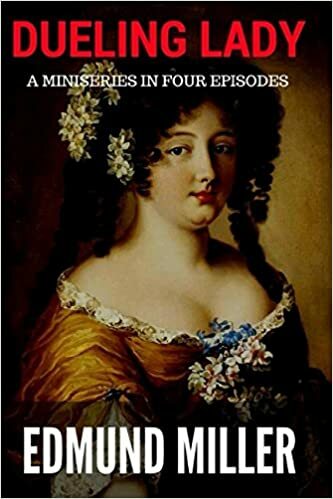 In 1775, HORTENSE Mancini, Duchess Mazarin, the richest heiress in Europe, having been shut away in a convent by her husband, escapes by exercising manly boldness and sometimes male disguise. Arriving in England, she capitalizes on the abiding admiration of a former suitor for her hand in marriage, a suitor who has become KING CHARLES II in the British monarchy just restored after the long disruption of the Civil War. She rekindles the King’s old feelings for her and becomes his mistress, maintaining his interest partly by contradicting expectations of femininity. Hortense discovers that the many mistresses of the King, while powerful, lack direction. With the help of LOUISE Duchess of Portsmouth (another of the King’s mistresses), of her own niece MARIE-BEATRICE (wife of the King’s brother and heir James DUKE OF YORK), and of QUEEN CATHERINE, Hortense strengthens the royal court’s alliance with France and moves the King toward a reconciliation with Roman Catholicism. Hortense’s power with the King is tested when she has an affair with Louis Prince of MONACO. The King learns from this incident that women are stronger and more attractive when they make their own decisions even about sexual matters. However, the arrogance of BARBARA Duchess of Cleveland, another of the King’s mistresses, diverts his attention. Barbara is not using her power for good but is causing financial difficulty for the country and threatening to undermine Hortense’s plans by becoming a symbol of the excesses of Catholicism with the populace. Hortense diminishes the influence of Barbara by befriending Barbara’s daughter ANNE and teaching Anne to assert herself. Hortense enlists the actress NELL GWYN (yet another mistress of the King) to teach her and Anne to fence. The culmination is a public duel Hortense stages between herself and Anne. Thereafter Hortense and King Charles guide the court in harmony. Barbara destroys the last of her influence by being caught in an affair without knowing how to turn it to her advantage as Hortense did with her affair with Monaco. More actively, Hortense manages to turn to good political advantage the Rye House Plot to blow up the royal court. The royal ladies and the mistresses of the King and of his bother all work together and come to represent a final stifling of the antagonisms of the preceding period of the Civil War. Unfortunately, the King is suddenly taken by apoplexy. Converting to Catholicism on his deathbed with the help of Hortense, the King leaves a legacy of hopeful reconciliation but not quite yet a confident accomplishment of it.
. the good folks at Syfy Wire review the biggest news and decide who won the week. . Catch up on the latest episodes from Season 2 Now. Watch Trailer. Trailer .Groupon is an American worldwide e-commerce marketplace connecting subscribers with local merchants by offering activities, travel, goods and services in more than 28 countries.Katherine Kelly to return for Mr Selfridge series four. Jeremy Piven will also be back for ten new episodes as Lady Mae Loxley makes a . series 4. Lady Mae .See full episodes and clips of your favorite shows. Choose a show or see what's hot.St Pancras station in London doubled for King's Cross station in episode one of series 4, in the scene where Lady . episode of Downton Abbey . series of Downton .Yu-Gi-Oh! 5D's Dueling Minds. . Episodes Yu-Gi-Oh! 5D's Season 1 . as well as production and distribution of the Yu-Gi-Oh! television series. .All the Fall 2015 TV Shows You Need to Know. . Miniseries, PBS (October 4) . The series will star Lady Gaga, .Yahoo TV. Videos Spartan: Ultimate Team Challenge Sneak Peek: Theyre Dirty, They Have to Work Together .An emotionally troubled young woman makes it her mission to exact revenge against the people who wronged her father. IMDb . Watch Mannix: One for the Lady from Season 4 at TVGuide.comGroupon is an American worldwide e-commerce marketplace connecting subscribers with local merchants by offering activities, travel, goods and services in more than 28 countries.Follow TV Tropes. Browse TV Tropes; Ask . but went straight to TV in the States, . Both of those series could be seen as Dueling Movies on their own rights.St Pancras station in London doubled for King's Cross station in episode one of series 4, in the scene where Lady . episode of Downton Abbey . series of Downton .The Lady & the Rose . Period Dramas 2015. by ladyandtherose // 1 December 2014 // 19 Comments. . (TV mini-series) 3-part drama set in 1939.In series four episode "The Hour That Never Was" Steed goes to a reunion of his RAF . In one episode, "Killer", Steed is paired with Lady Diana Forbes Blakeney .Downton Abbey (episode by episode) . Downton Abbey recap series six, episode four . Viv Groskop's episode blog: Lady Mary wants to make things right, .The official site of the SHOWTIME Original Series The Tudors. Find out about new episodes, watch previews, . REPLAY: Season 4, Episode 3. SEE TV SCHEDULE. On Demand.. American Horror Story has signed Lady Gaga to star in the . Gaga to star in the next edition of the FX anthology series. . latest TV news from .